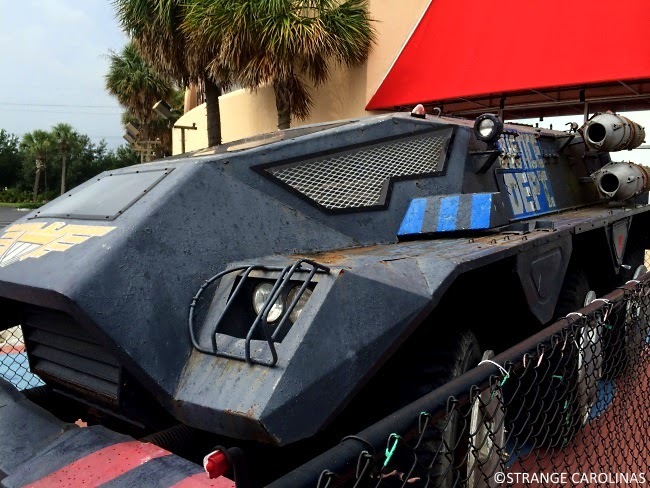 You'll find many movie props and replicas inside Myrtle Beach's Planet Hollywood. 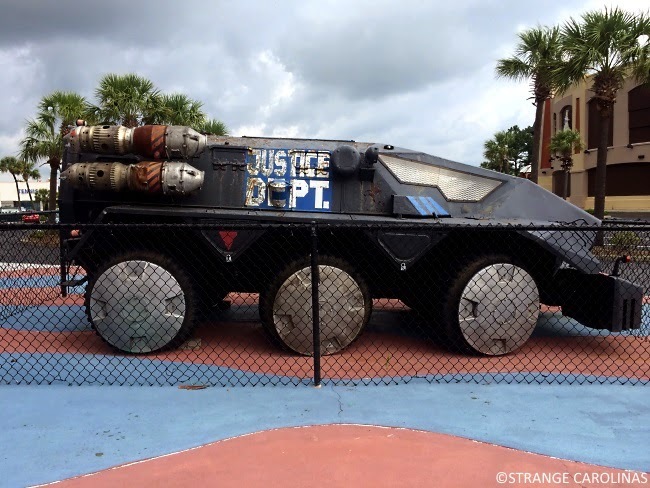 But one of the coolest props at this location can actually be found outside the restaurant: the Justice Dept. 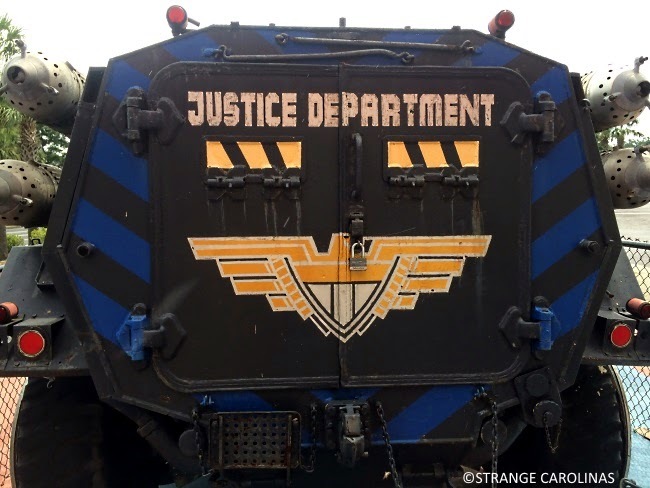 tank from Sylvester Stalone's Judge Dredd.